The world of work has changed dramatically in the past decade, shaped by factors such as technological advances and a new generation of workers with very different ideas of what employment should look like. The HR function as a domain is going to play a huge role in leading and shaping the future of business. Initially, HR was charged with the role of keeping records, ensuring companies followed regulations, determining wages, compensation benefits etc. Today, instead of focusing only on administrative tasks, HR managers spend their energies managing employee engagement and strengthening culture. The technological advancements have disrupted HR function vastly. The intelligence-led HR manager now has statistics that can predict successful recruitment strategies, real-time that allows high and poor performing areas to be identified. It can be rightly said that HR has evolved from the erstwhile passive and service-oriented function to a more strategic one. Let’s look at some factors that are responsible for the evolution of the HR function and are challenging its trajectory! 7 Factors That Are Challenging The HR Function To Evolve! Here are some of the factors that are changing the face of the HR function! Employer brand positioning is a primary move for many companies wherein the entire employee experience over the life-cycle of their association with the company is looked after. Employee engagement may have been at the core of many HR practices but they are diving even deeper by focusing on overall employee experience. This rising trend looks to make sure that the employees are having a great experience, even when they have a lot of work on their hands. Work culture plays a big role in influencing positivity amongst the employees. Yet 64% of employees feel that they do not have a strong work culture, thus hampering their work experience. For this, it is important to have a regular feedback from your employees and not just assume that things are sunny always. You can never improve an employee’s experience if you do not know what issues exist. Artificial Intelligence has been a buzzword for decades, but it has finally reached a point where it is beginning to have a tangible impact on businesses, especially in HR. From candidate matching and sourcing applications to friendly chatbots guiding individuals online, AI is expected to be one of the biggest technology disruptors for 2018. Other than reducing administrative tasks for the HR, it now helps them make better and more important decisions. Gone are the days of long day training which hardly have any retention value in the minds of the employees! Training is revolutionized where workplace learning is imparted by giving employees what they want – relevant options in real-time. HR managers are focusing on generating learning material online with an unlimited access which they can be used for expanding their knowledge. The learning environment is moving towards interesting ways to such as replacing boring demos and videos to a more game-like atmosphere, which is not only easy to retain but also quick to grasp. HR teams are also seeing a change in both their sizing and skill sets. HR operations have received a significant upgrade that has helped them to add value to the department. We can see HR as a profession in a different light altogether. To be specific, service and hospitality skills have become increasingly important. An HR department that is top-notch in its services forms the base of a positive candidature and a great employee experience. Talent Management as a department has transformed. The talent life-cycle is not goal-centric at every phase. From recruiting to off-boarding, every lifecycle change that candidates go through has a focus on organizational value-based goals. As opposed to previous circumstances, where no matter how great your talent is, talent management had been so poor that even core business objectives weren’t communicated or agreed upon. Today, with the evolution in HR this aspect has improved and organizational values have become part of every function and process. There has remained a very thin line of distinction between different functions in a business, which has opened up HR managers towards forming new professional relationships. For a strategically driven employer brand to be built, HR has to work closely with the Marketing department. Similarly, HR, Finance and performance management teams work together to offer compensation that attracts and retains talent such that it strikes the optimum balance between budget and effectiveness. The role of HR has expanded to include data-driven workforce planning. Good HR managers are using predictive analysis to determine which employees are most at risk of leaving an organisation based on a number of key indicators. 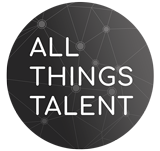 Similarly, talent analytics in recruiting is being used where big data is combined with deep-learning algorithms to point out best candidates with accuracy. HR as a function has started using the tools available today and gain a competitive edge with data-driven HR. HR as a function has managed to empanel several changes by cashing in on real workplace challenges. And they have done a great job while at it! 5 Ways To Make The Most Of Your Internship Programmes: Ensuring Today’s Intern Is Tomorrow’s Star Performer!